Scientists are worried about Campi Flegrei. Scientists have discovered that an ancient volcano in one of the most densely populated parts of the world may erupt at any moment. 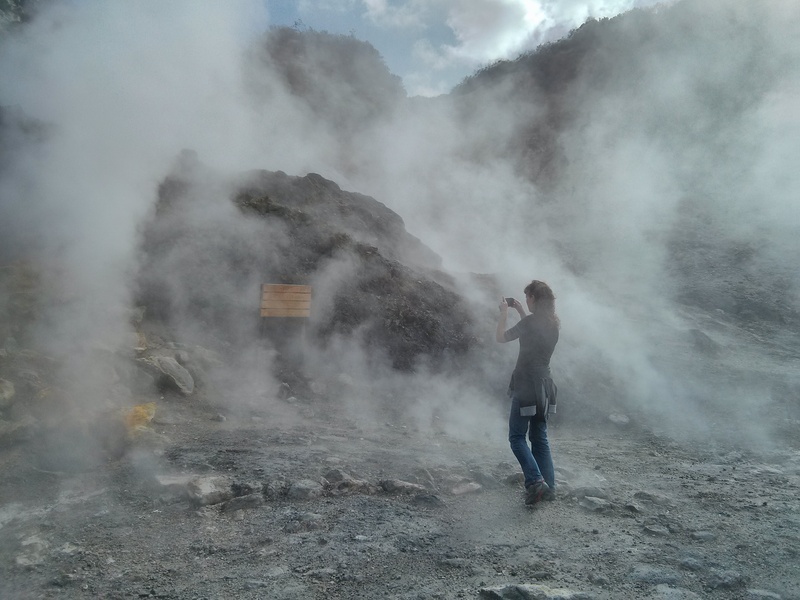 Here’s why: Magma could be approaching critical degassing pressure at Campi Flegrei, a volcano in the metropolitan area of Naples, home to over four million people. New research published this week in the journal Nature aims to explain how volcanoes reach that tipping point, something that still isn’t totally understood. In short, rising magma reaches a sudden point when it releases too much steam into nearby rocks, causing an eruption. Campi Flegrei is about to reach that point. “[The at-risk nearby population] highlights the urgency of obtaining a better understanding of Campi Flegrei’s behaviour,” said Giovanni Chiodini, one of the paper’s authors and a researcher at the National Institute of Geophysics and Volcanology in Bologna, said in a report published Wednesday. Magma, molten rock moving up from the Earth’s mantle, is not a necessarily bad thing. While some theorize that volcanic activity is leading to the end of the world, cooler heads are proposing systems that harness the energy from hot volcanoes to generate power. The densely populated city of Naples, Italy. The main issue, the paper explains, is that as magma moves through the hydrothermal rocks during a volcano’s reawakening, interactions take place that researchers still don’t fully understand. 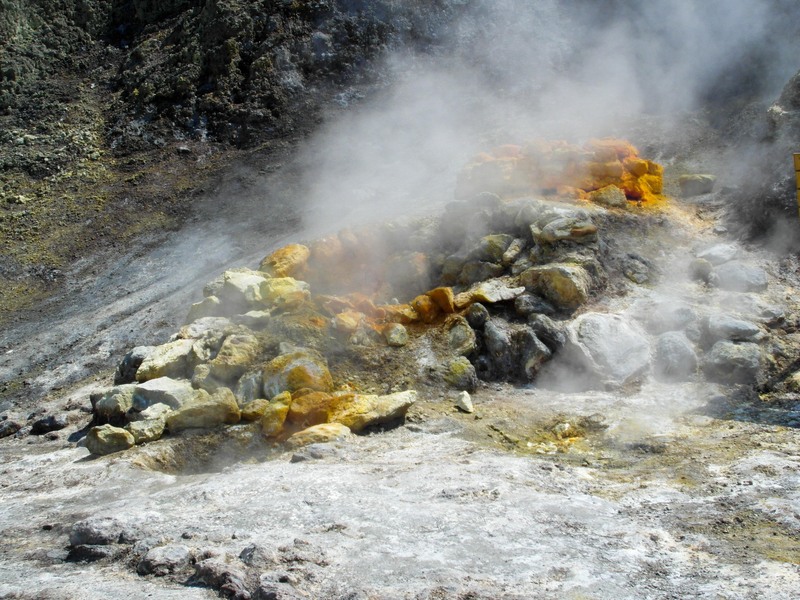 In silicic volcanoes, complex hydrothermal systems develop during a volcano’s dormant stage, and not understanding these interactions means predicting when magma will erupt through the surface is a gamble. Campi Flegrei has been showing signs of reawakening since the Fifties, and the area has shown large-scale unrest since then, particularly in 1983. A new inflation of rocks has started developing since 2005, and the volcanic gas involved suggests magma is responsible. But, again, scientists are still a bit shaky when it comes to magma and hydrothermal systems, so it’s not really clear what’s going on. Scientists instead aim to discover a critical degassing pressure, or CDP. The paper aims to prove that magma can release gas beyond a hypothetical critical point, where the amount released into the rocks increases tenfold and effectively reaches a tipping point. If enough magma reaches the CDP, it’s probably bad news for the nearby residents. “We propose that magma could be approaching the CDP at Campi Flegrei, a volcano in the metropolitan area of Naples, one of the most densely inhabited areas in the world, and where accelerating deformation and heating are currently being observed,” the researchers predict. The volcano was formed nearly 40,000 years ago and, although the last eruption was in 1538, local authorities have raised the alert level to yellow. With this new research, it may be time for more drastic preparations for an event.